NEWPORT NEWS, Va., Oct. 11, 2018 (GLOBE NEWSWIRE) -- Huntington Ingalls Industries’ (NYSE: HII) piloting of new technologies as part of its digital transformation is redefining the future of the naval engineering and shipbuilding industries. 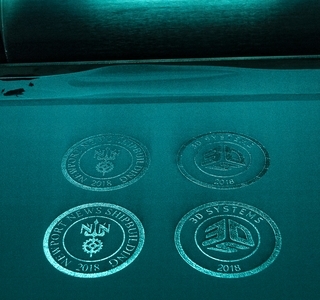 The company’s Newport News Shipbuilding division, in collaboration with the U.S. Navy, has led the adoption of additive manufacturing of metal components for nuclear-powered warships. A 3-D printing video featuring Southall is available on HII’s enterprise transformation web page: https://www.huntingtoningalls.com/who-we-are/enterprise-transformation-hii/.